Technology and D&A solutions not only impact an organization at a macro level, driving different approaches, new products and services or both; they may also impact the various functions within an organization. Accounting, finance and tax departments are being pushed into new directions as they manage their technology investments. These teams not only have to figure out how to effectively incorporate today’s D&A solutions into their departments — they also need to determine what impact or possible benefits investing in new technologies could bring in the very near future. With the support of their organizations, these functions could become disruptive internal innovators that help rewrite the role and contributions they make to the bottom line of an organization. According to KPMG’s 2018 Chief Tax Officer Outlook survey, tax department heads are thinking about technology and D&A solutions from a functional level. Although 76 percent of CTOs surveyed say investment in D&A and emerging technologies will see the biggest increase in the tax function over the next 12 months, only 45 percent of CTOs believe their department is keeping ahead of technological innovation. So while it’s clear that CTOs believe technology could play a vital role in increasing speed and efficiency and growing the value of their tax departments, they may be grappling with how to bring about those benefits. • What technologies can transform the work of our organization in order to meet current challenges? • Does our organization have the resources, skills and knowledge internally to develop our own solutions? • Are the existing solutions and service offerings capable of handling the unique needs of our organization? It would be difficult to cover all possible technologies that may influence accounting, finance and tax functions. It’s fair to say, however, that cloud computing, AI, and blockchain are three frequently discussed technologies that are often predicted to have a great impact. Together, these technologies offer on-demand sharing of information, automation of certain tasks, the ability to detect potentially risky business transactions and the identification of regulated transactions and business issues. Cloud providers deliver computing services (e.g., storage, databases, networking, software, and analytics) over the internet (the cloud typically charges users based on usage and consumption). Using the cloud for their computer services needs allows accounting, finance and tax professionals to redirect their attention and efforts from being concerned about the hardware and data storage needs of their organization to creating new applications and reports that allow for better analysis of transactions and business issues, as well as delivering specific information to stakeholders on demand — all while storing and backing up data as necessary to prevent inherent issues that arise from managing one’s own data. Artificial intelligence, or intelligent automation demonstrated by machines, contrasts to the natural intelligence displayed by humans. In computer science, AI research is defined as the study of "intelligent agents," or any device that perceives its environment and takes actions that maximize its chance of successfully achieving its goals. Colloquially, artificial intelligence is applied when a machine mimics cognitive functions that humans associate with other human minds, such as learning and problem solving. AI can be used to perform standardized tasks, such as filing tax forms, determining classification of transactions, and flagging complex business issues that would then require input from accounting, finance and tax experts. Its use allows for higher value work to be performed by professionals while automating routine work, which can be extremely time consuming. Blockchain is a shared digital ledger in which transactions are recorded and shared chronologically and publicly with its participants. Blockchain has gained popularity for its use as the underlying technology behind cryptocurrencies; however, the potential uses of this technology beyond cryptocurrency are currently being proven, with specific success taking place in business-to-consumer and business-to-business transactions. 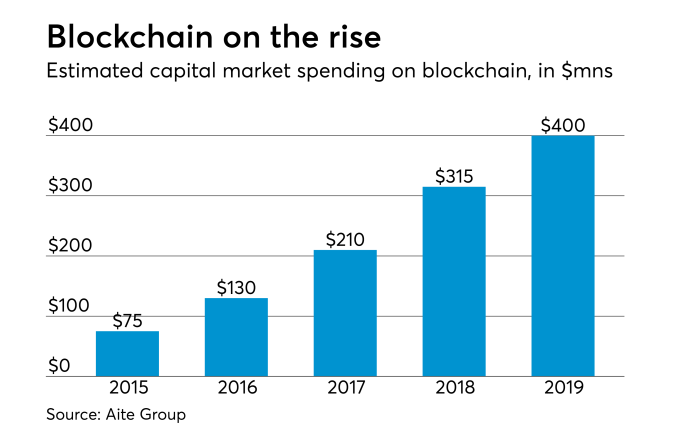 While in its earliest days, blockchain has proven potential for accounting, finance and tax functions by providing a single source of trusted, immutable data, specifically between untrusted and semi-trusted parties. This data then serves as the basis for decision making, tax filings, and business analytics.